August 02, 2008 in "amano", "comic con", "lock's quest"
Ok. so the San Diego comic con was AWESOME!!! I've never seen so many comic book/toys/game enthusiasts gather in one event. Crazy! Met lots of great artitsts and got to demo Street fighter IV! and to top it off... I got to meet Yoshitaka Amano. 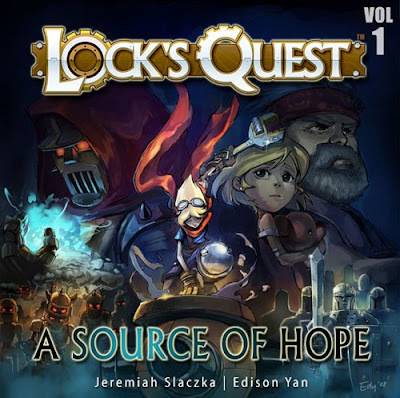 Yes I looked like a total fan boy even though i was supposedly there to promote a comic I worked on, "Lock's Quest: Source for Hope". The hour wait in line was totally worth it. 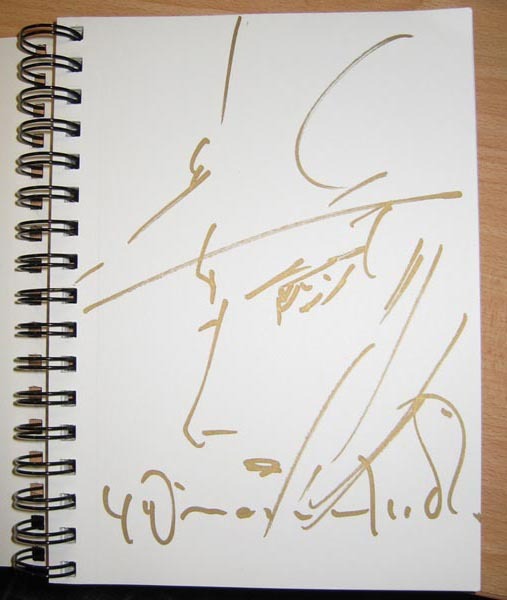 I forgot the names of the people who helped me get my Amano books signed because we were only allowed one book each!!! but Thanks to Eddy, for helping me get a book signed, and the two anonymous people waiting in line without any books. 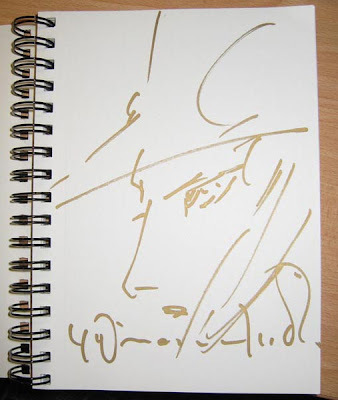 Here's a personalized.... yes, PERSONALIZED sketch from Amano. Regarding the Lock's Quest comic is an 8 page, nintendo DS box-sized comic based off of the game. The game hits shelves Sept 2008. It's the game we just wrapped up at 5th cell, so was pretty excited about that. If you want a copy of the comic, it'll be bundled with the game when you buy it. Here's the Coverart.